April is Stress Awareness Month, a campaign to increase awareness of the causes of stress and also ways to alleviate and prevent it. Rachel Reynolds, Prevention and Outreach Specialist, walks through an activity from our Let’s Talk: Runaway Prevention Curriculum that helps youth build stress management skills. Stress is damaging to a person’s mental and physical health. It can be an influencing factor in anxiety and depression and also linked to health problems like heart disease, insomnia, and problems with both digestive health and the immune system. Learning how to manage stress can improve a person’s well-being and possibly prevent dangerous situations and crises, like running away. This is important because youth who contact the National Runaway Safeline (NRS) are often in crisis which can form when a possible stressor is added to the existing challenges of being a preteen or teenager. To map out the stressors and potential crises related to being a youth. How solid problem-solving and stress management skills can help reduce stress in their lives. Informational options and resources that may help youth cope with stress. 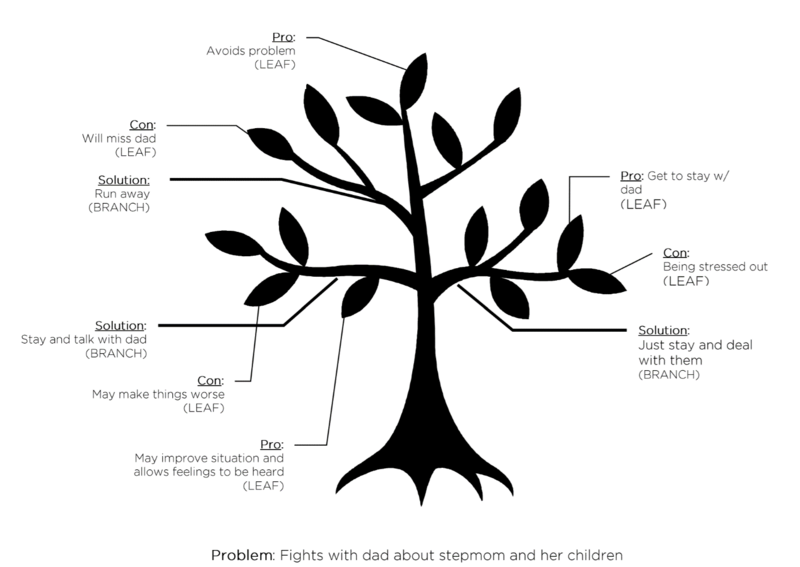 This activity is a great way to help youth with their problem solving skills. This also helps them learn their limits; there are some things in their life that they can control, like their reactions, but others things that are out of their control, such as other people. Learning how to solve a problem and knowing what is in their control can help youth learn how to manage their stress and make a safe decision. These skills along with other ones in this module can teach youth about healthy coping mechanisms for when stressors arise. Download this activity along with others here. Reach out to Rachel Reynolds, our Outreach and Prevention Specialist, at rreynolds@1800runaway.org if you have any questions about the curriculum.